With a slight delay (oops) we’d like to let you know of our Christmas 2014 promotion that will bring you nicely in to 2015 with a little extra cash in hand! To celebrate the festive season we’re rewarding anyone playing at our tables – LIVE or AUTO – by giving you the chance to win your share of a €3,000 pot! Each week we will draw 6 winners and over Christmas and New Year it becomes 7 winners! The prizes are extra cash in your account, with no strings attached! It’s one prize per player per week, but there’s nothing stopping you from entering more than once during the promo period. 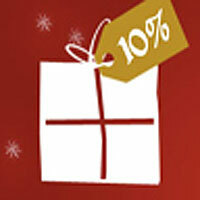 Our promotion started on the 1st of December and will run for 5 weeks until the 5th of January. So how do you qualify for the draws? 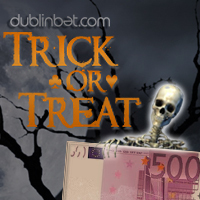 All you need to do is play on dublinbet.com during the promotion period, easy! For each €50 that’s bet on any of our games during the week, one entry ticket to Monday’s draw will be awarded, for every multiple of €50 that’s bet another entry will be added. Repeat that each week you wish to enter the draw. Each Monday we will draw the winners and Rudolf will pay the winnings directly into the winners’ accounts. 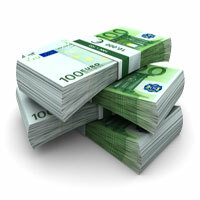 At the start of the New Year, we are going to give out another €1,000 in cash prizes to our players. 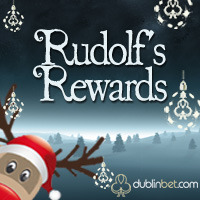 All players that qualified for a weekly draw for Rudolf’s Rewards will automatically be entered into another draw to win one of 100 €10 free bets for a little ‘New Year gaming’!